Are you looking for private drum lessons in Calabasas? At Music School To Go we believe everyone deserves to have fun and feel like a rock star. We offer private drum lessons for kids and teens of all ages and skill levels in the comfort of your home. Drum lessons for beginners is our specialty. We also specialize in drum lessons for kids. Our goal is simple: Build great drummers. And that means customizing a learning plan to match your child's age, personality, interests and goals. 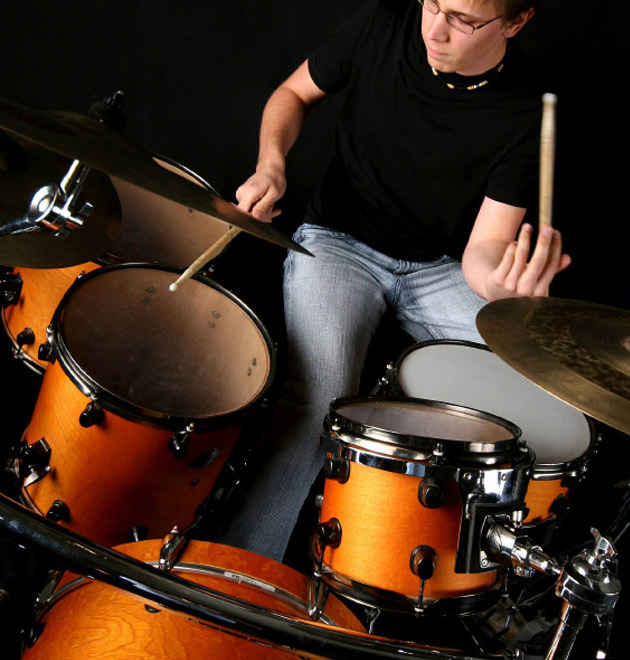 We are dedicated to providing the best drum lessons in Calabasas. So whether you want to just jam out, start a band with friends or are looking to go pro, we'll help make your dream a reality. The main reason to learn drums with us is our outstanding music teachers. All of our instructors are university trained young educators and musicians who care about your child's success and their love for music. Our instructors hold degrees in Music Performance, possess outstanding musical talent and are gifted instructors with the ability to motivate and instruct students of all ages. Additionally, our teachers are hand-picked for their enthusiasm and patience and most importantly, for their fun and motivating personality that you're sure to love. Young beginners often start out on a drum kit or even on a drum pad with a couple of drum sticks. We have both male and female students and typically do not start drum lessons before age 6, as students need to be able to reach both the pedal and the cymbals. You have the opportunity to choose from an acoustic or electric drum kit. Many parents enjoy the benefits of an electric drum kit when a student practices at home. These electric sets have the ability to have the volume turned down or be used with headphones. "When I was thirteen I only wanted to be a drummer." When you sign up for drum lessons, one of our highly skilled drum teachers will come to your home. We'll find the perfect match with a friendly, compatible drum teacher within 5 days who suits you best and personalize instruction to your age and learning style. We're confident you'll instantly click with your drum instructor and be on your way to making music with the best teachers! Children and teens enjoy taking drum lessons. The average age of our youngest drum student is 8. This varies greatly depending on the size of the child. They have to be able to reach both the pedals and the cymbals. We do have kids as young as 5 start drum lessons. The lessons focus on rhythm imitation with the teacher until they can understand how to read rhythms notation. Our specialty is drum lessons for beginners. It's what we do. Period. Students starting lessons on the drums should have at least a practice pad and sticks. The rudiments that every drummer must master can be practiced on these. However, eventually the student will need a 5-piece kit in order to really apply what they have learned. Drums can be loud so choose a place in the home where the student will not be a disturbance to everyone else. However, keep in mind that there are products out there that can be used to muffle and deaden the drum’s sound. Each year we offer two recitals that are completely free for family and friends. These are fun, low-key events that give our students the opportunity to shine. All of our students are on a month-to-month basis. We do not require registration fees or long-term commitments and have no hidden fees. If you are ready to start, you have nothing to lose as we only want students who truly want to learn and we will not commit you to a long-term contract. Simply put, our mission is devoted to you. We make the most of your musical talent and help you achieve your goals while having fun. Whether you're a beginner, advanced or somewhere in between, we have a professional drum teacher in Calabasas ready to help you learn. We have been teaching drum lessons to families in Calabasas, Hidden Hills CA and surrounding areas since 2004 and hope that your family will be the next to join our Music School To Go family!